Two singer-songwriters, two guitars and fourteen stories. Recently Belgium got quite a country fame with the nomination awarded movie ‘The Broken Circle Breakdown and its companion soundtrack. These two gentlemen, Ht Roberts and Bruno Deneckere have been ‘Americana’ ambassadors for decades. So it was just a matter of the right time at the right place to combine both forces and record an album full of stories that bring us down deep south. On ‘Heroes & Has-beens’ no new territories are explored. Both gentlemen have been searching and exploring the songwriting skills for many solo albums. But what they have achieved on this album can only be described as the very best of Belgian Great (roots) Music. Both Ht and Bruno know their classic roots: Hank Williams, Johnny Cash, Bob Dylan and Neil Young. But on ‘Heroes and Has-beens’ they combine these joined forces and make them sound alive in 2014 by integrating young Americana heroes as Wilco, My Morning Jacket and the sweet voices of Band Of Horses. By the time the very last notes of the first song, ‘The Frame’, fills the room you know there is no way turning off this record. The swing loses sometimes its bottlecork and soon a dark, brooding Nashville ballad leaves you sitting on the edge of your backroom seat. But ‘Heroes & Has-beens’ is not an album about losing and returning musical compadres. During the writing and recording sessions all roads led to unfinished stories about what is and what could have been. On ‘Heroes & Has-beens’ two of Belgian’s finest songwriters have found each other and produced an album that feels like coming home. 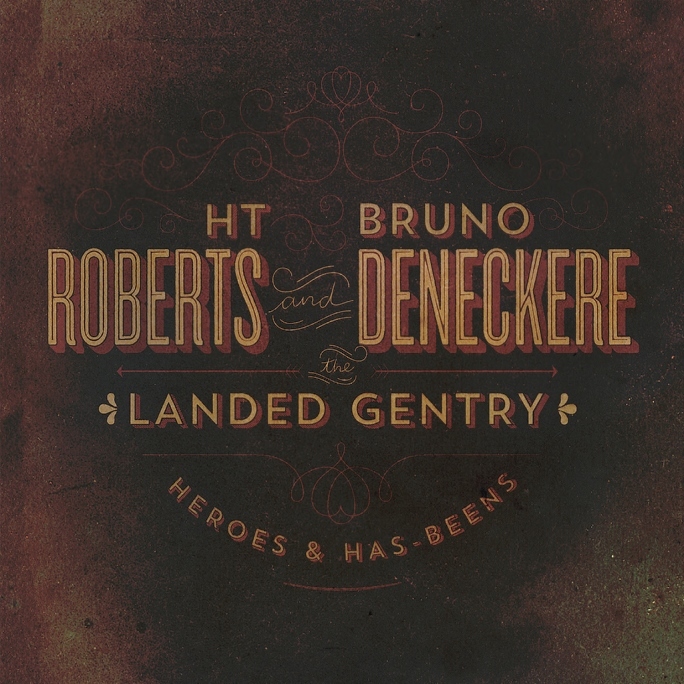 Ht Roberts and Bruno Deneckere with their full Landed Gentry band will be on the road to support their masterpiece. Don’t miss ‘em!